LEWCO Custom Multi-Strand Drag Chain Conveyor and Chain Driven Live Roller Conveyor with Pop-Up Chain Transfer - LEWCO Inc.
LEWCO Inc. recently developed and delivered a custom Multi-Strand Drag Chain Conveyor with an entry ramp to a leading packaged food supplier. 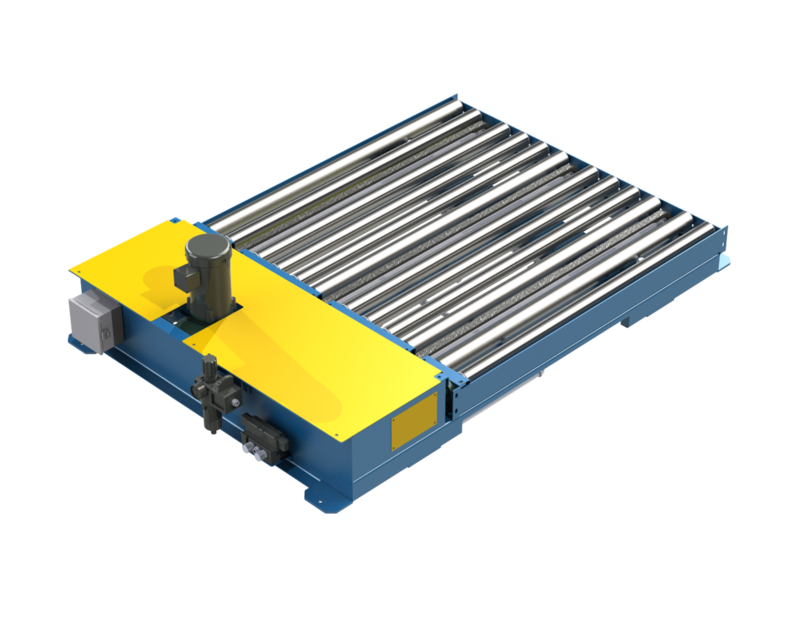 Along with the Multi-Strand Drag Chain Conveyor, LEWCO also constructed a low elevation Chain Driven Live Roller conveyor with pop-up chain transfer. The customer has palletized cases of can goods weighing up to 3,000 pounds that get delivered throughout the day via a manned double pallet jack. The Multi-Strand Drag Chain Conveyor receives two pallets from one of many robot palletizing conveyor systems. From there, it is transferred onto stretch wrapping machine in preparation for distribution. 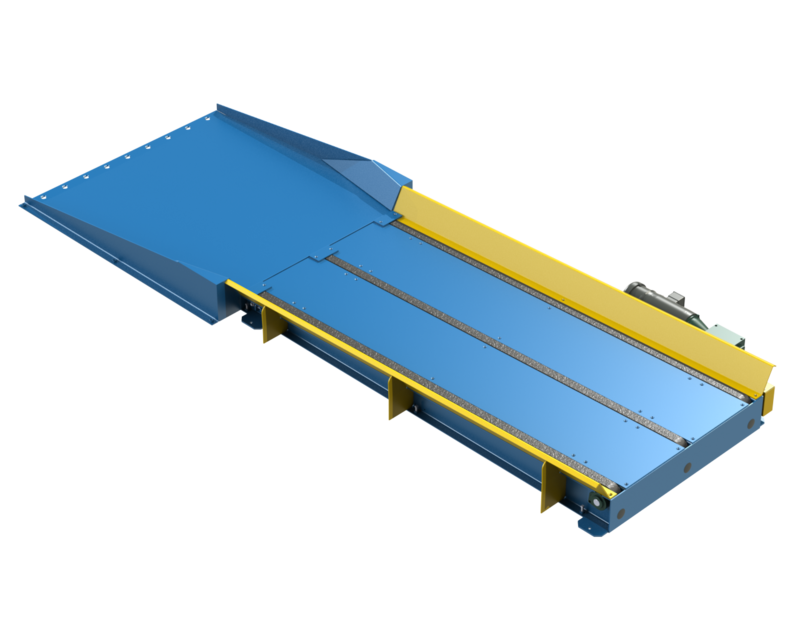 To accommodate the customer's existing low elevation conveyor line in the warehousing area, LEWCO developed a low elevation Chain Driven Live Roller conveyor with pop-up chain transfer to convey pallets 90 degrees maintaining its proper orientation throughout the storage and distribution line.